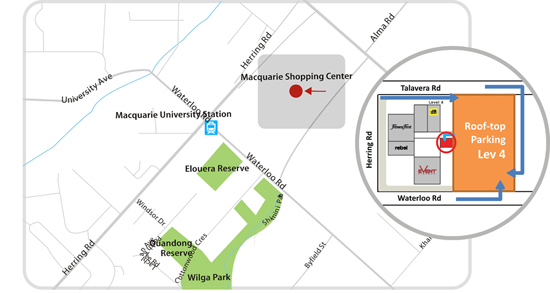 3 hour free parking is available within the Macquarie Shopping Centre. We are on roof-top parking Lev 4, just the outside of Centre Court entrance, near ANZ ATM. 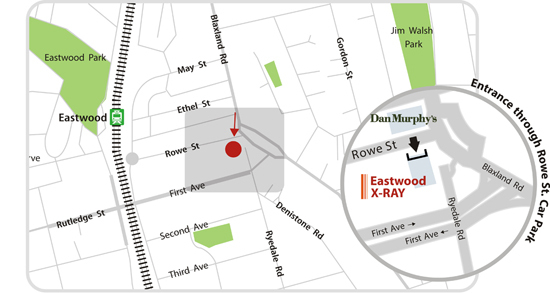 Ample parking is available within the building dedicated to the patients. Car park Entry on Rowe St side, near the corner of Blaxland Rd. Walk-in entry is also on Rowe St through carpark.